Ridership on the Ride Glenwood city bus service was down 8 percent last year, which could lead to some future changes in the city bus system as part of a 5-year Transit Operations Plan. 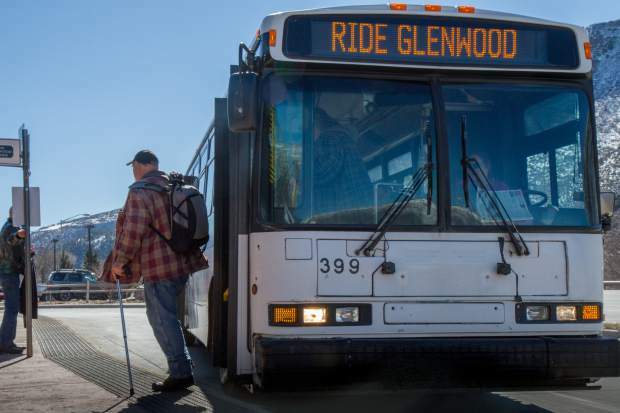 Glenwood Springs could discontinue parts of its Ride Glenwood bus route along Grand Avenue and other places where Roaring Fork Transportation Authority buses provide duplicate service, in favor of providing better service to outlying city areas. That’s one strategy being contemplated as the city prepares a new five-year Transit Operations Plan to be considered by City Council after the first of the year. 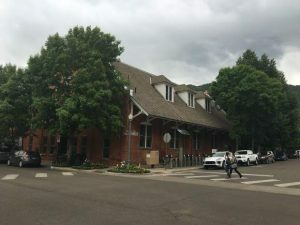 Consultants have been working with the city’s Transportation Commission and Glenwood Transportation Manager Tanya Allen since last spring to evaluate the existing service and suggest possible changes to make the system more efficient. Results of that analysis, as well as feedback from a community survey that was done early on in the process, and some options for future transit services were presented Wednesday at a pair of public presentations. 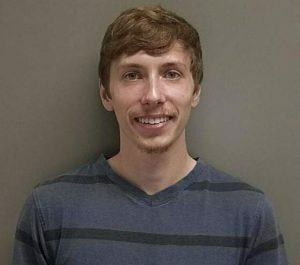 “What we wanted to do was get an understanding from the community about what works well with the current service and what doesn’t work well,” said Steve Wilks, a consultant with IBI Group. Among comments from bus users and prospective users are that the current in-city buses don’t go close enough to people’s destinations and that it takes too long to travel by bus. A common theme was that better connections are needed to serve Glenwood Park and the south Glenwood area in general, as well as the Red Mountain/Midland Avenue corridor, Wilks said. Some type of downtown “circulator” that could be used by tourists and residents alike also came up in the discussions, as did the concept of using technology and mobile apps to hail rides on demand. As it stands, the Ride Glenwood service is not even coming close to paying for itself, and ridership has declined as RFTA has expanded its service along the main Glenwood spine where city buses also run. With the exception of the existing free bus services that are in place during the Grand Avenue Bridge detour, the city normally contracts with RFTA to run a separate, in-city bus route daily from 6:53 a.m. to 7:53 p.m. at 30-minute intervals. It runs from the Roaring Fork Marketplace (Wal-Mart), down Grand and across the Colorado River to north Glenwood. From there, it runs west along Sixth Street/U.S. 6 to the West Glenwood Mall and onto Midland Avenue and Wulfsohn road to Glenwood Meadows and the Community Center and back. The bus costs $1 per day for multiple rides, or $5 for a seven-day pass and $20 for a 30-day pass. But ridership has dropped at about 185,000 passengers per year and a net operating cost of $781,000 annually. That comes out to a cost of $4.22 per passenger. 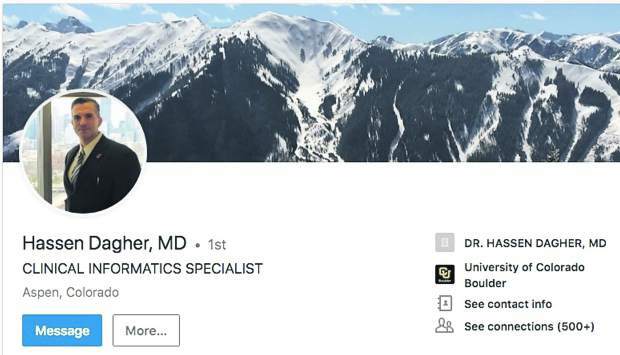 “The financials for Ride Glenwood Springs are not good, and we should be getting more value for the service where we are making better use of the bus tax,” Allen said. In addition to fare receipts, a dedicated portion of the city’s sales tax goes to support the Ride Glenwood system. • Reduce Ride Glenwood to a single bus serving north and west Glenwood, and eliminate the duplicated service along Grand Avenue but with a connector service across the bridge and to Glenwood Meadows. • Discontinue the Ride Glenwood fixed route entirely and move to a “flex” system for the north/west Glenwood areas that would combine traditional buses with on-demand, ride-hailing types of services. • Discontinue Ride Glenwood fixed routes and reroute the RFTA Valley Local buses to north and west Glenwood and serving other areas of town with a flexible route or city-wide ride-hailing service. A key question is whether any future changes would restore bus service to the south Glenwood neighborhoods, including Glenwood Park, Park West, Park East and Cardiff Glen. The city operated a South Glenwood shuttle until about 2009 to 2011, when the service was discontinued due to a combination of low ridership and declining city tax revenue following the recession. The fact that the city has not restored that service fails to recognize that more than 20 percent of the city’s residents now live in that area, former city councilman and south Glenwood resident Dave Merritt said. Consultants will refine the options and present a preferred plan to City Council later this fall. Council likely will not take up the proposal until after the first of the year, Allen said.